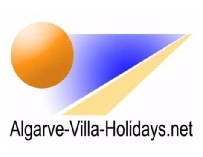 Guia is situated 30 minutes from Faro airport near to the town of Albufeira, on the central Algarve coastline. Guia is a lovely Portuguese village in the Central Algarve, which is famous for its delicious chicken piri-piri restaurant dishes. All in all Guia is a perfect place to stay for Portugal family summer holidays, with over 20 good value restaurants. 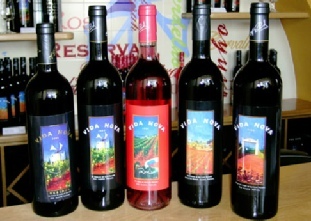 Visit Guia's market and peruse the local craft stalls, see the variety of fresh locally grown and baked food for sale. Guia's lovely village centre has maintained all its Portuguese charm and history with shops, cafes, bars and weekly market. Not surprisingly, there are many restaurants throughout its narrow streets. Guia and the villa are ideally situated for a peaceful and relaxing break away from the stresses of everyday life. Guia's laid back and relaxing atmosphere is typical of Portugal, as time becomes unimportant and you ease into your private villa Central Algarve holiday. 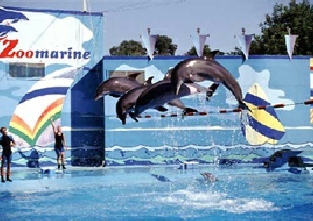 The Zoomarine is only a few minutes drive from Casa Romantica. Enjoy the wildlife shows and water parks for a great day out. 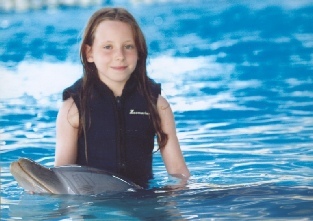 Pre-book your chance to swim with the dophins. Only a five minute drive away are the pretty and peaceful beaches of Gale and Albufeira, where fishermen mend their nets and pots whilst holiday makers enjoy the warm sunshine, fine sand and clear blue sea waters. There are large, flat Blue Flag beaches, which are ideal for children to swim, play safely, relax and sunbathe.Take a stroll down the beach and visit some of the great beach front restaurants - if only for a coffee and a cake!! 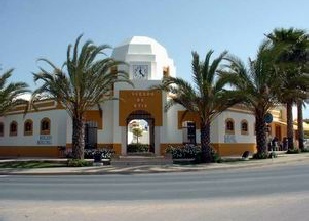 Guia is only a 5 minute drive from the nearest town of Albufeira. 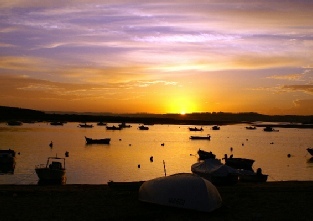 Albufeira was once a small fishing village favoured by the Romans and Moors. 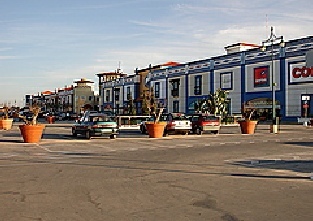 Today Albufeira is a popular spot with an active nightlife and restaurants. The old part of the town is still very attractive, as the rock-protected beaches where the fisherman keep their boats, gaily painted with large eyes (to ward off evil spririts! 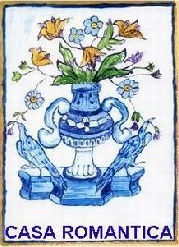 ), as well as animals and stars. 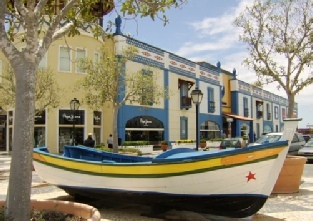 The new Algarve Shopping Centre is only a 5-minute drive away in Guia. 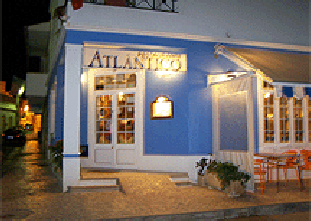 Stroll around the Algarve Shopping Centre in Guia and take time to have a meal at one of the many restaurants inside. There are also plenty of taxis waiting outside to take you back to the villa. 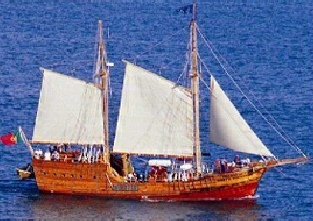 Have a day out on a boat trip or go to a water park. 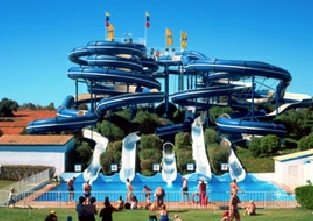 There are several water parks within a 5-10 minute drive of Guia. 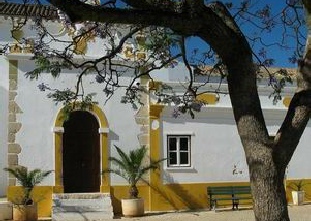 Enjoy long, lazy lunches and letting time drift slowly away on the Central Algarve. 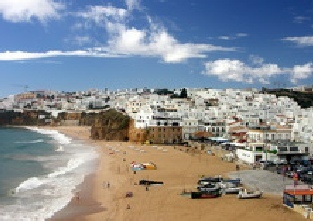 Albufeira is built on a hill with narrow streets and a cliff top walk. Below the town, reached by a tunnel that penetrates the cliff face, is the chief reason for the resort's popularity - its excellent sandy beaches. Facilities are excellent and most sporting activities are available. The beaches of Gale (Praia Da Gale) and Castello have excellent stretches of fine sand, panoramic majestic views, beach bars and water sports. Plenty to do for all the family!